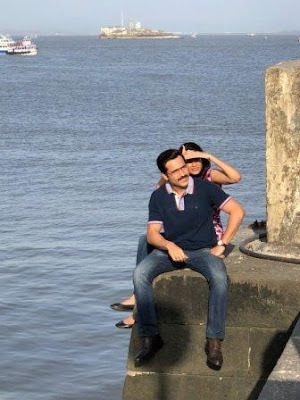 The fresh new pair of #CheatIndia – #EmraanHashmi and #ShreyaDhanwanthary has wrapped-up the Lucknow schedule for the film and now the duo was spotted in Mumbai for their final shooting. A picture of Emraan Hashmi and Shreya Dhanwanthary is going viral on social media. The duo was spotted at a South Mumbai club shooting the last leg of the shoot for Cheat India. The movie, Cheat India, is inspired by the crimes in the Indian education system that has created a parallel ecosystem infested with education mafia. “Cheat India” is an edge-of-the-seat drama that takes a look at the crimes in the Indian education system that has created a parallel ecosystem infested with a mafia, agents, and middleman. The drama is written by Shridhar Raghavan, the film is co-produced by Parveen Hashmi, Bhushan Kumar, and Krishen Kumar. Helmed by Gulaab Gang director Soumik Sen, this is the second flick from Hashmi’s production house. Director of the film Shoumik Sen said that Cheat India is a film for all the students, who are under the pressure to excel. This film is for every Indian student who is under pressure to excel in a competitive environment. Today's youth will hugely relate to Cheat India, said the filmmaker. The movie will hit the theatres worldwide on January 25, 2019.